ISLAMABAD, Oct 29 (APP): Pakistan on Saturday strongly condemned the missile launched by Houthi militias aimed at attacking the holy city of Makkah, which hosted the Muslim world’s most sacred center Khana-e-Kaa’ba. 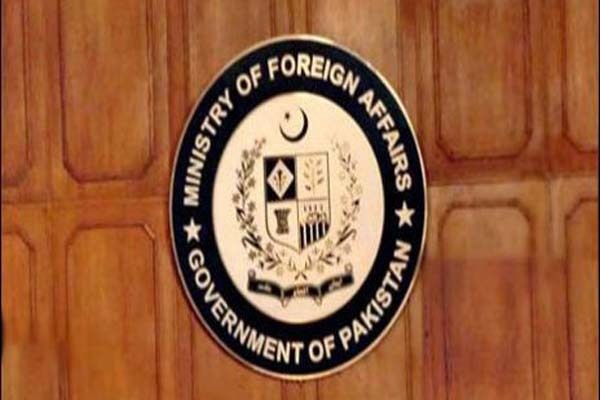 “It is a matter of deep concern and anguish for the government and the people of Pakistan that such an attempt has been made to target the holiest place,” said a Foreign Office statement. “We are confident that Saudi Arabia is capable of defending its territory. The people of Pakistan stand with the people of Saudi Arabia in the defence of Harmain-Al-Sharifain and the territorial integrity of the Kingdom of Saudi Arabia,” it added.